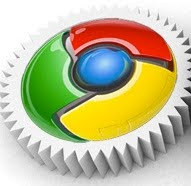 It seems like Google Chrome is not only the fastest web browser in terms of performance but also in releasing updates. Although Chrome 7 is the latest stable version and Chrome 8 is still in Beta, Chrome version 9 has already arrived in Dev Channel with a bunch of small-scale tweaks. Since Chrome 9 is still in the early stages of development, there are several critical issues that need to be fixed. But if you are using Linux, Windows, or Mac and would like to give this bleeding edge release some sort of a test run, simply download it HERE. For more Google Chrome announcements and release notes go HERE. Wow! that was fast. I will be downloading and testing Chrome 9 dev today so hopefully it is stable enough.